What Happens After The Bite? Stay outside all Summer long with expert tips to avoid mosquitoes and ticks. Tick bites ain't nothing to mess with! If you or your pet are bitten by a tick, it's important not to panic. React swiftly, but calmly as well. If followed properly, these next steps will help to lower the risk of further damage, and help to get the tick away from you or your pet as soon as possible. 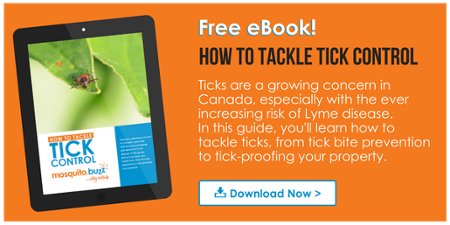 Thankfully, most tick bites are painless and cause only minor signs and symptoms, such as redness, swelling or a mark on the skin. 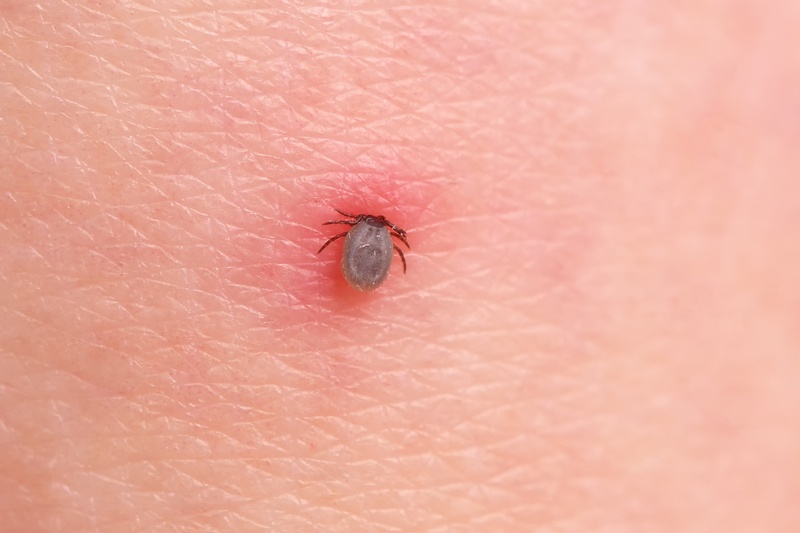 However, some ticks transmit bacteria that cause illnesses, including Lyme disease and Rocky Mountain spotted fever, so you'd be wise to follow the proper protocol if a dreaded bite does occur. Using clean tweezers, carefully grasp the tick as close to the skin as possible. Pull slowly upward, but try not to twist or crush the tick (no matter how much you may want to). Once the tick is removed, wash the area where you were bitten with soap and water. You may also disinfect the area with alcohol or hand sanitizer. Wash your hands with soap and water as well! If parts of the tick's mouth break off and remain in your skin, remove them with tweezers. Visit your health care provider if you cannot remove parts of the tick's mouth in your skin or the tick itself. Save the tick in a plastic bag that you can seal or a pill bottle. Record the location and date of the bite, and store this data somewhere safe. Take the results to your local health care provider. Talk to the team at Mosquito.buzz about preventing ticks long term. You can also follow us on Facebook for weekly tick and mosquito bite prevention tips.